Outboard engine gives better performance, better acceleration, higher speed attained, suffers less from corrosion and are easier to get serviced than inboards. The turning and general movement through the waves is also very exceptional. Also diesel prices are set to go up again so this is why the Beneteau Antares 8.80 is set up in this way. There is a choice of 1 or 2 engines. This lovely vessel handles beautifully. I went out on one and found the performance was excellent both in terms of handling and economy. Hailed as a -revolutionary hull! Thanks to Air Step® technology, performance, ease of handling and boat stability bear no relation to a standard hull and the sensations are incomparable. The cockpit is spacious for fishing and also depending on what options you require there is the benefit of comfortable seating, sunbed and cockpit table too. The side decks allow for ease of movement around when mooring up too. This example comes with the Comfort trim level option. A beautifully appointed vessel. The first time I went on board at the Southampton Boatshow I was very impressed by the interior layout. Bright and airy and more than enough space for a family too. The aft cabin works really well and spans the beam of the boat. The French no no limits when it comes to creative and practical use of space. There is a Chart Plotter and a Fish Finder as part of this package. CE Marked. Will take up to 10 people. This Beneteau Antares 8.80 offers the fishing enthusiast the ability to travel fast to the fishing destination, with plenty of space in the cockpit, a great wheelhouse for shelter and more to the point the comfort that a sports cruiser has to offer for the family. A light and airy living space, with eye-catching lines and superb performance too. The Air Step hull innovation provides smooth and fast acceleration through the water plus very responsive ride when turning too. Finance options available. Price varies according to customer options and currency fluctuation. We also provide Boat Transport so can deliver your boat too! We also provide boat maintenance, anti-fouling, cleaning and polishing services. 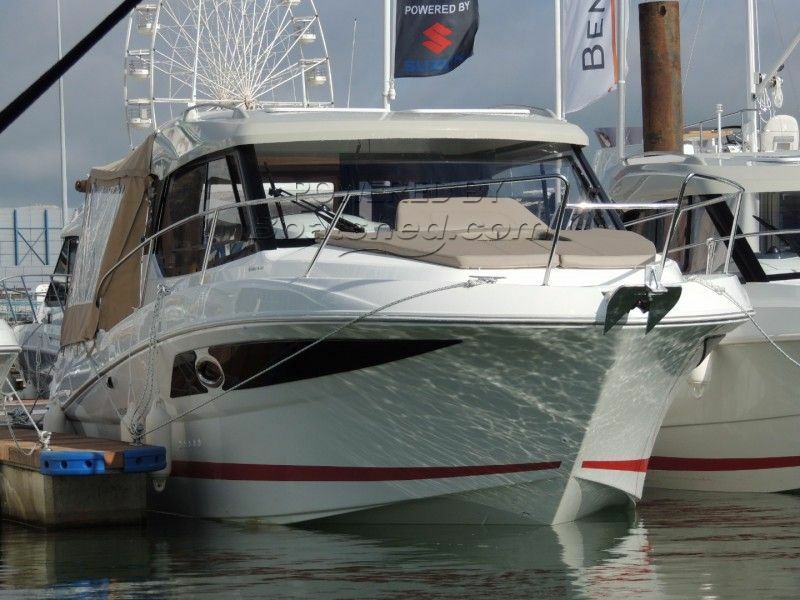 This Beneteau Antares 8.80 has been personally photographed and viewed by Jamie Nash of Boatshed Medway. Click here for contact details.